Who does like midnight surprises? We all love midnight surprises and many online midnight cake delivery in Panipat is doing services in many areas of Panipat. We all want to surprise our parents on their birthdays and anniversaries because on our parent's time these kinds of surprises were not there. 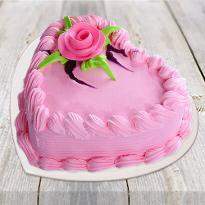 We can send midnight cake delivery in Panipat to our parents to make special moments. Winni do midnight cake delivery service in Panipat areas like: Panipat N.s.m, Panipat Refinary, panipat Sugarmills, Panipat Thermal Projects, Puther etc. Who do not love getting surprises and similarly who do not love to give surprises. And there is no bigger surprise than someone knocking at your door at midnight with cake in his hand. That becomes an astonishing moment for any person to see a gift coming at such late hours of night. To make this celebration easy accessible Winni provides you midnight cake delivery in Panipat. 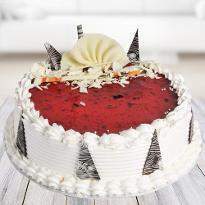 Where you can order cake online sitting anywhere for midnight delivery in Panipat. Along with cakes, you can also send flowers to add more delight. For flowers options you can visit our flowers category to see all the variety of flowers available. What is the process of ordering midnight cake delivery? Yes, almost all of these cakes present in this category could be prepared in eggless variant as well. Eggless cakes do not contain any amount of egg in it and they are specially prepared. You can see all eggless cakes available in Panipat by visiting our eggless cakes category.